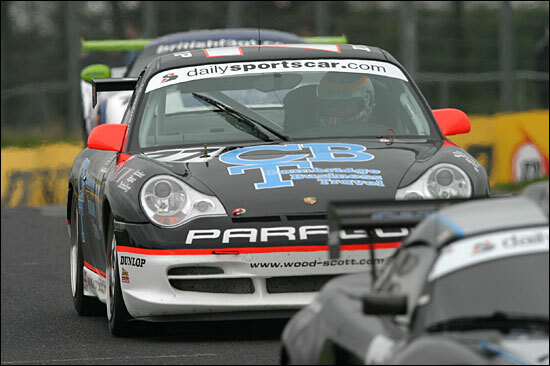 Mondello Park is a tight, twisty and very technical circuit that needs practice and commitment to extract a fast lap time. 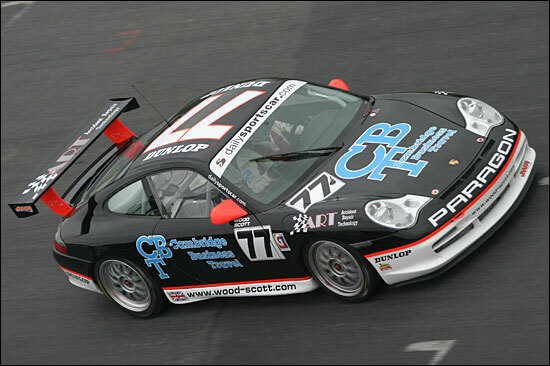 The new format for the 2004 British GT Championship isn’t entirely helpful in that regard, but Stuart Scott and Steve Wood were out on track bright and early for the Saturday morning practice session, learning the circuit and getting the feel of the #77 Porsche’s new weapon in the armoury, a state of the art Porsche sequential gearbox. The weekend’s action goes at a fast and furious pace and all too soon after the morning’s extended practice session it was time for qualifying. With two quick-fire 15 minute sessions on the 3.5km circuit to decide the grid for the two races, it was Stuart first to get the car on the grid for the Saturday race. 27 cars out on the circuit and a 15 minute session combined to give precious little opportunity to find a clear lap, but Stuart was pushing hard and tenth slot in class on a circuit not at all well suited to the Porsche was enough to put a smile on his face. Stuart pitted at the 22 minute mark for a slick JWR pit stop, and then it was Game On once again. 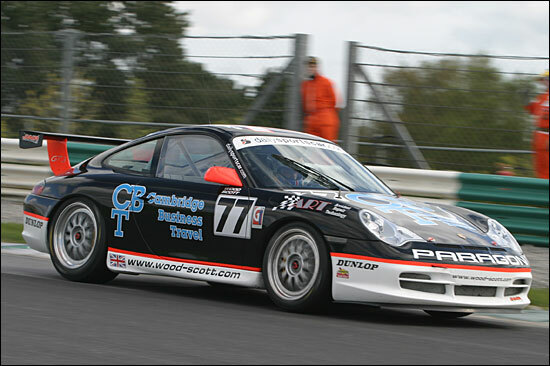 “I had loads of understeer in the slower corners and it was a big handicap. We don’t run with adjustable dampers on the car and so we’re playing around with the rollbars to find the best set-up. It’s not ideal, particularly at a circuit like this which really suits the little Lotuses. But there was no shortage of racing action for the #77 car. 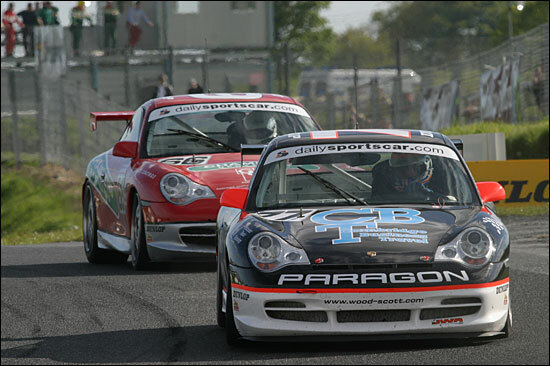 “I got punted out of the way by Jonathan Rowlands at one point and had a great scrap with Paul Mace in the ABG Porsche,” said Steve with a broad grin. All too soon though there was a second safety car after a nasty accident at the quick left hander (the accident ended the race for the Eclipse TVR and the #67 DRM Ferrari). 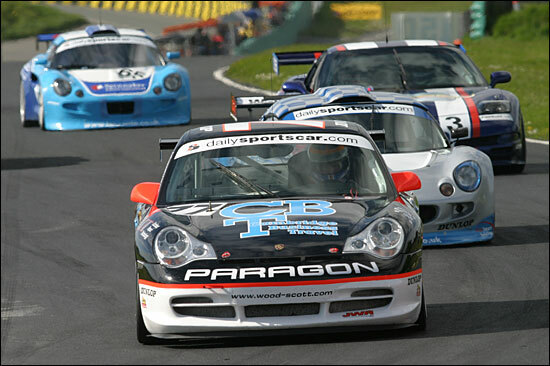 Steve pulled up behind the Noble, Morgan Aero 8 and his team-mate Graeme Langford in the second JWR Cup class car, circulating in close company with the Emotional engineering Vauxhall Monaro. As the flag dropped the WSR car powered home seventh in class, a solid finish on a circuit which was always less likely to suit the 911. A solid run to a points finish was what was required but a lunge from a Ferrari 360 at the first corner left Steve Wood languishing at the back of the field. “I got punted!” was the blunt reaction, and the sizeable chunk of Ferrari front bodywork missing from the Glenvarigill 360 seemed to adequately identify the culprit. Despite that setback, the boys brought it home, albeit a distant ninth in class. We’ll be there to see them try. 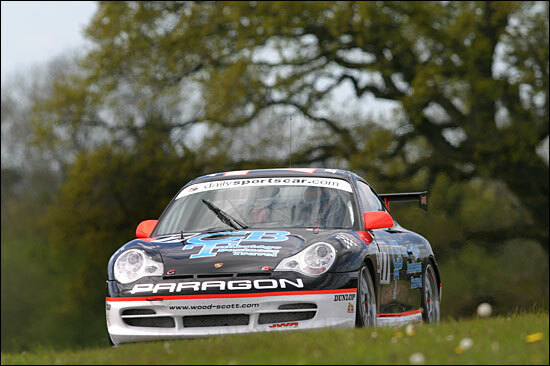 Rounds 5 and 6 are indeed at Snetterton, on June 5/6.